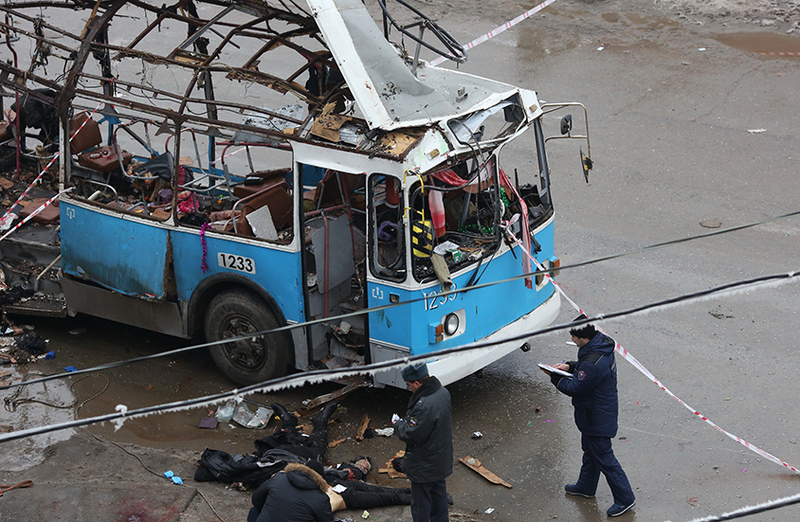 JNN 02 Jan 2013 Moscow : At least 14 people have been killed and 20 others were injured when a bomb ripped apart a trolleybus in the Russian city of Volgograd, investigators said. Health Minister Veronika Skvortsova said the patients were in “a bad condition with burns, with multiple injuries typical of blast-induced wounds”. The blast comes a day after 17 people died in another suicide attack at the central station in the city. President Vladimir Putin ordered tighter security nationwide after the morning rush-hour blast. This entry was posted in Europe and tagged Caspian Sea, Health Minister Veronika Skvortsova, investigators, Moscow, president vladimir putin, Sochi, Suicide attack, Suicide Bomber, Veronika Skvortsova, Vladimir Putin, Volgograd. Bookmark the permalink.